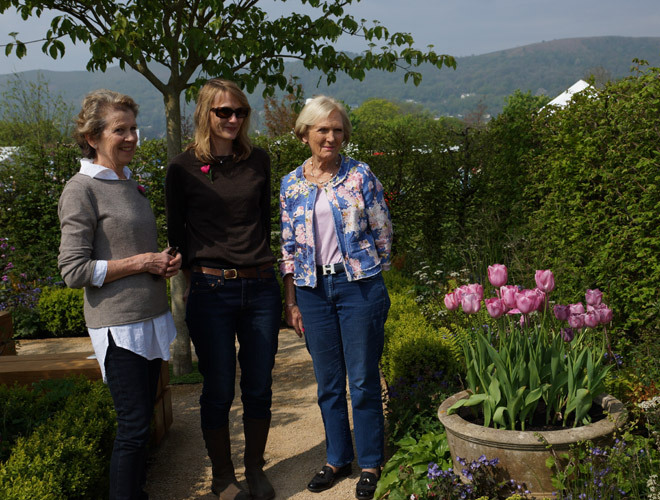 We had a wonderful time at RHS Malvern Spring Festival which was a huge success. 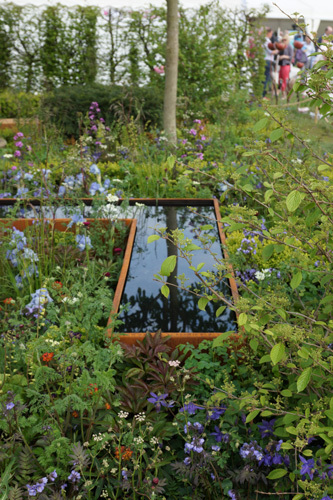 We were all so proud when Emily Sharpe’s beautiful UCARE garden inspired by Broughton Castle, home of our Patrons Lord and Lady Saye & Sele won the Silver-Gilt award. We cannot thank Emily and her team enough for all of their hard work and support. 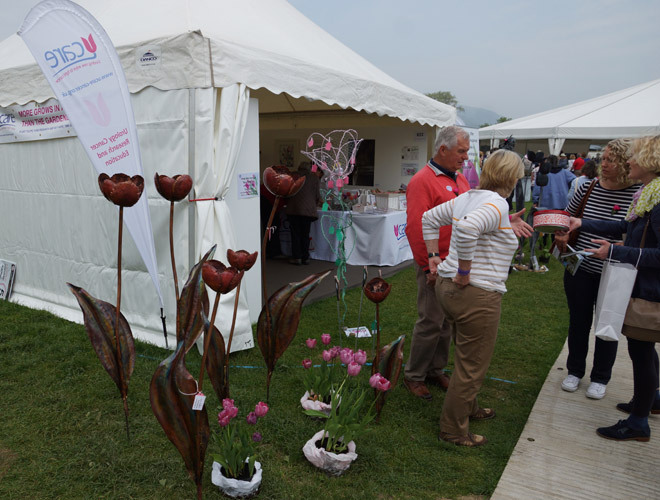 Our marquee gallery of gorgeous tulip inspired art works was very popular with the thousands of visitors and we made many new friends and supporters as we bathed in glorious sunshine. We would like to thank all of the many people involved who helped to make this event such a successful and memorable one for UCARE with their tireless support, generosity and hard work. UCARE will be represented at RHS Malvern Spring Festival in May by Emily Sharpe. Emily who won the People’s Choice Award for her first show garden design at RHS Malvern Spring Festival 2015 and then went on to win Gold and Best in Show garden at the Blenheim Palace Flower Show. 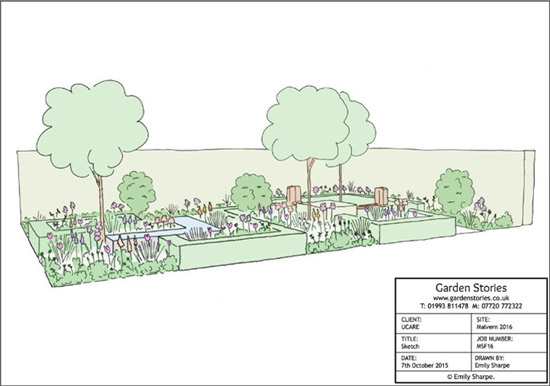 Her garden design is inspired by Broughton Castle, home of UCARE's Patrons Lord and Lady Saye & Sele. 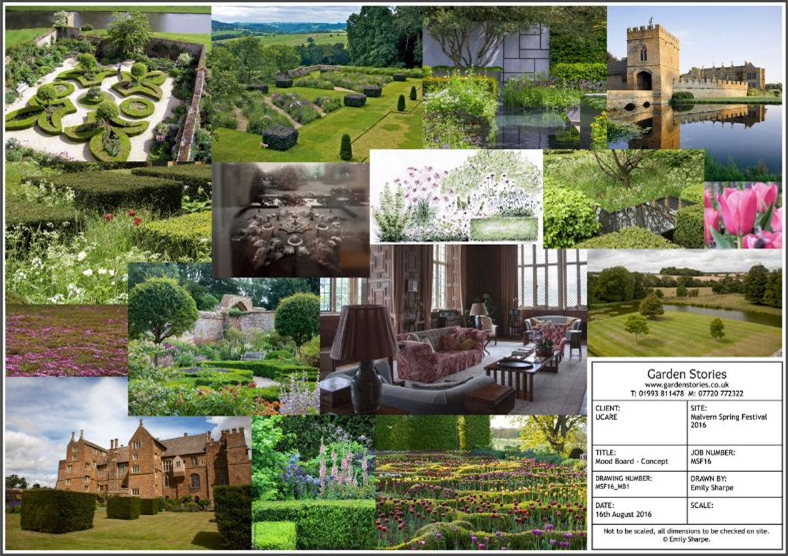 Concept mood board for the garden - the images are from Broughton Castle, Chris Beardshaw, Christopher Bradley-Hole, Tom Stuart-Smith and Arne Maynard. 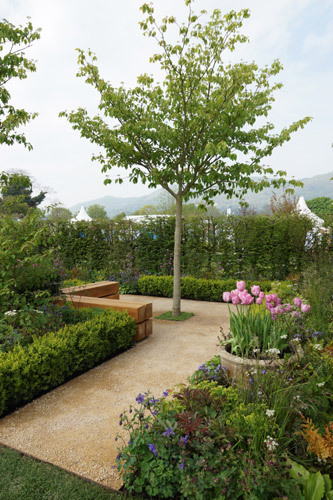 Emily is delighted to be returning to the RHS Malvern Spring Festival for the second year in a row - this time with a full size show garden for UCARE. 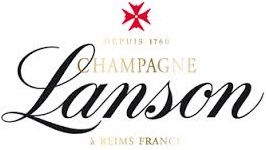 The garden is sponsored by Champagne Lanson International, CED Stone Group and Solar Clear Ltd. 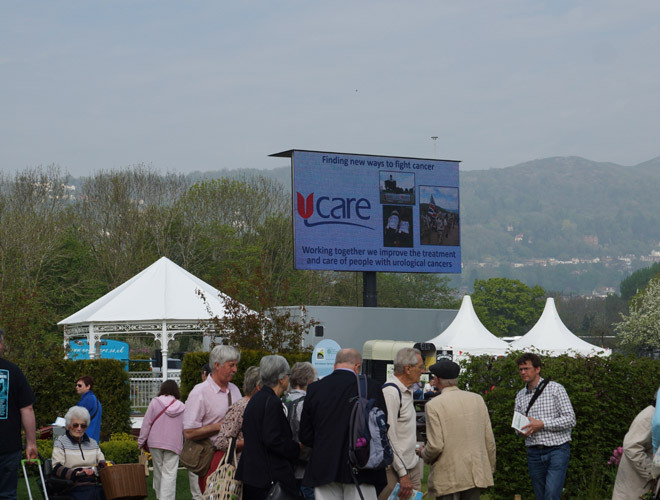 I met UCARE's Val Berry and Jane Henman last year when they were exhibiting with one of the other festival gardens at Malvern. They enjoyed the experience so much, they were determined to do it again and asked me to design a show garden for them! Val and Jane asked me to use Broughton Castle as inspiration for the garden. The castle is a fortified manor house near Banbury and home to Lord and Lady Saye and Sele, who are patrons of UCARE. They also asked me to display the beautiful pink UCARE tulip, Tulipa ‘Caresse’, in the garden. Tulipa 'Caresse' has been adopted by the charity and has become a symbol of hope in the treatment and care of patients with urological cancers. As well as the interior of the castle, I also took inspiration from the grounds and gardens - the crenellated walls and large, square moat which entirely surrounds the castle, as well as the elaborate 18th century Ladies Garden and long herbaceous borders. I hope the final garden reflects the structure and setting of this historic family home. I have deliberately chosen materials and plants that are in keeping with those found at Broughton, and arrangement of the central border was taken from the pattern of the oak panelling. Find out why the sponsors have made UCARE their charity of the year. A contribution to our tulip artwork project was featured in the Hereford Times. Emily was interviewed on Garden Cafe on BBC Radio Oxford on 17 April. Listen to this on the BBC's Radio Player until 16 May (about 23 minutes into the show). The Garden was mentioned in the Herefordshire Life.